The yeast Saccharomyces cerevisiae is widely used for production of fuels, chemicals, pharmaceuticals and materials. Through metabolic engineering of this yeast a number of novel new industrial processes have been developed over the last 10 years. Besides its wide industrial use, S. cerevisiae serves as an eukaryal model organism, and many systems biology tools have therefore been developed for this organism. Despite our extensive knowledge of yeast metabolism and its regulation we are still facing challenges when we want to engineer complex traits, such as improved tolerance to toxic metabolites like butanol and elevated temperatures or when we want to engineer the highly complex protein secretory pathway. 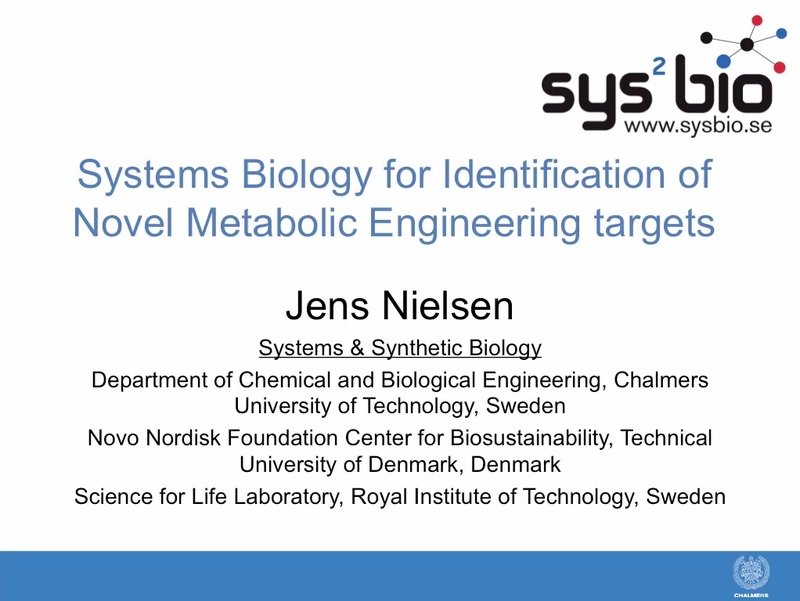 In this presentation it will be demonstrated how we can combine directed evolution with systems biology analysis to identify novel targets for rational design-build-test of yeast strains that have improved phenotypic properties. Examples will be on identifying targets for improving tolerance towards butanol and increased temperature and for improving secretion of heterologous proteins.